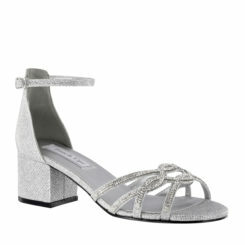 Bobby colors is a mid heel, vinyl slingback. No leather materials were used in construction, all animal friendly. There is a lightly padded foot bed for extra comfort. 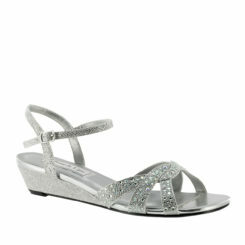 The front has rhinestone detailing to give this shoe it's pizzazz! 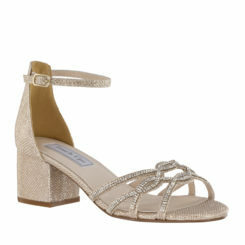 Bobby II is available in silver or gold but sizes are limited! 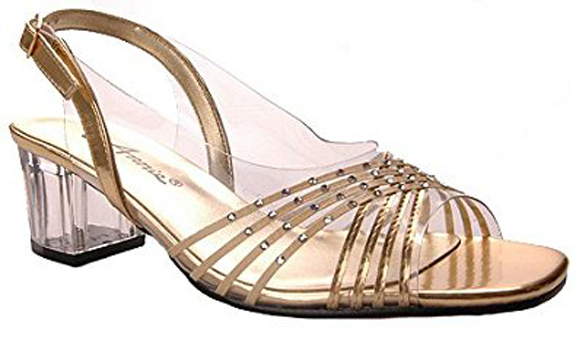 Annie Bobby colors is a clear vinyl 2 inch heel. This shoe is a perfect shoe for outdoor events. Annie is decorated with scattered rhinestones to add the right amount of sparkle. 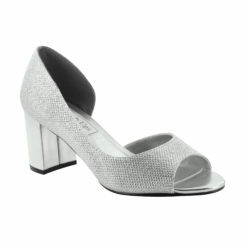 The slingback also has an adjustable buckle, to ensure the perfect fit. No leather materials were used in construction, all animal friendly. 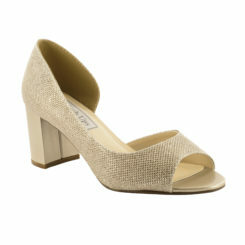 This shoe is a lightly padded foot bed with a square heel for extra comfort. Bobby is a great match for any outfit or dress since it is clear and the stones will pick up the colors that are around it. Bobby colors is available in silver and gold with limited sizes.